iCLIC Data Mining & Data Sharing workshop: The Present and Future of Data Mining and Data Sharing in the EU was held in Southampton on 23 September 2016. 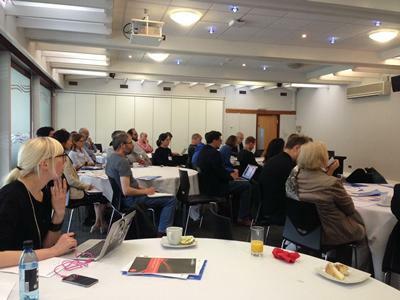 Attended by speakers from industry, government, academia and a range of disciplines, the Data Mining and Data Sharing workshop was hosted by iCLIC, an interdisciplinary core on Law, the Internet and Culture at Southampton University. The workshop comprised of two sessions, each with a keynote and an associated panel. The first session was chaired by Eleonora Rosati and the second by Sophie Stalla-Bourdillon. The first keynote speaker was Julia Reda, Member of European Parliament, who discussed the new European Commission proposals excluding data protection issues. Reda specifically noted the need for rule clarification and expressed the view that when it comes to Text and Data Mining (TDM), an approach along the lines of ‘the right to read is the right to mine’ would have been a better route to follow than what is currently in practice or what is being proposed. Reda’s keynote was followed by a question and answer session and then the first panel which focused on copyright and database rights as well as data mining and data sharing. The panellists included Estelle Derclaye (Nottingham), Andres Guadamuz (Sussex), Trevor Callaghan (Google DeepMind), Carlo Scollo Lavizzari (International Association of Scientific, Technical, and Medical Publishers - Legal Counsel), and Margaret Haig (UK IPO). The workshop’s second session started with a keynote address presented by Madeleine Greenhalgh from the Government Digital Service’s Data Science Team. During this keynote Greenhalgh discussed the Government Data Service’s (GDS) work on TDM with specific reference to how they guide, inform and assist government departments with their work. Two central tools used to assist in this are the GDS’s six key ethical principles and also its ethical framework for web scraping. Following this keynote, the second panel dealt with data protection, data mining and data sharing and included Tobias Koberg (Research Data Centre LlfBi), Christopher Brown (Jisc), Waltraut Kotschy (Data Protection Compliance Consulting, formerly Austrian DPA), Libby Bishop (Essex).